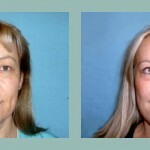 The facelift and necklift procedures lessen the aging shown by wrinkles, furrows and sagging skin of the face and neck. A facial lift will significantly improve your appearance and probably your self-esteem, but it will not bring you a “new life”. 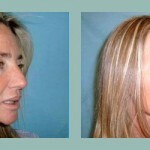 It is common to hear that a facial lift “will remove five to ten years” from you. In fact it is difficult to estimate beforehand the improvement that it will be obtained; therefore, it is more realistic to consider that you will have a very good appearance for your age after a successful facelift. As per the duration of the result, it will be influenced strongly by several factors like age, inheritance, skin quality, bone structure; and some habits like diet, smoking or alcohol ingestion. 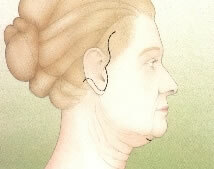 Basically, the operation consists in stretching and resecting the sagging skin of the face and neck. 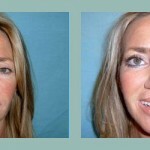 Habitually we combine it with an eyelid surgery, so that they may not be “out of step” with the rest of the face. Also we make use of other complementary procedures like dermal fillers, Botox, peels, microdermabrasion, thread lifts, double chin and/or cheeks liposuction, etc. ; always aiming to get a superior aesthetic result. 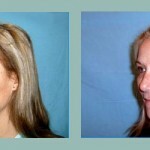 At the moment we perform facial lifts with minimal scars. We make the surgery stigmas less perceivable and the post-operative recovery much briefer. 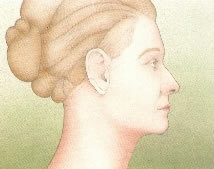 All patients must take presurgical exams and the specific risk factors in each case are analyzed. 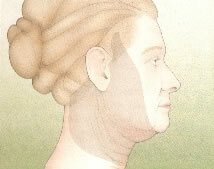 A previous evaluation to decide the surgical strategy is indispensable. The anesthesia to be used, is a decision that we make together with the patient. Even though we can give general anesthesia with an inpatient stay for 24 hours, we normally use local anesthesia plus sedation provided by the anesthesiologist, with an excellent comfort during the surgery. 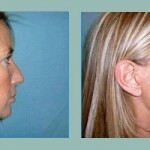 The surgery takes some hours, depending on the magnitude of the procedures. It is common a put a dressing for 3 or 4 days after the intervention. 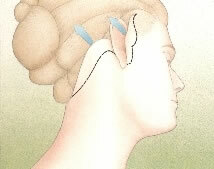 Usually, there is no pain in the post-operative and the evolution is well tolerated. We provide medication to diminish the edema or swelling that can happen. Patients retake their normal routine without making efforts, after 1 week. More time should be waited to retake physical activities. There´s the possibility of complications, common to any other surgical procedure, such as apparition of bruising, seromas, infection, unaesthetic scars, etc. Smoking always represents an additional risk factor, since it interferes with the normal healing of wounds. 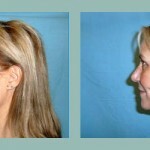 It is strongly advisable that the surgery is performed by a specialist in aesthetic plastic surgery. It is, with no doubt, the safest option to achieve good results and to face any complications, in case that they might occur.